I’ve had my Audi for over 4 years now and have been meaning to write a review for most of that time. For an owner review, though, later is often better: by now I’ve got plenty of experience to share. I bought it in 2014 when I was looking at a car to replace my aging 2005 Lexus IS300. I wanted to stay in the same class, but looked for a car that was 2-3 years old tops (the optimal age to buy a used car, in my opinion). I wanted to go for another Lexus IS, but two of my friends already had one, so that was out of the question! I then looked at the other usual suspects: the BMW 325i, whose build quality after 80,000km’s was so bad that I stopped looking at any others after I test drove the first one; and the Mercedes C250, which was good but just a bit too soft for my liking. Overall, I found the Audi A4 was the car that just made me want to keep driving it – it was comfortable enough, yet also willingly sporty when you wanted it to be. Thus when I found this example with no previous owner and just 4500km’s on the clock, a relationship was born! My mileage now sits at over 10 times that. First things first, the exterior. 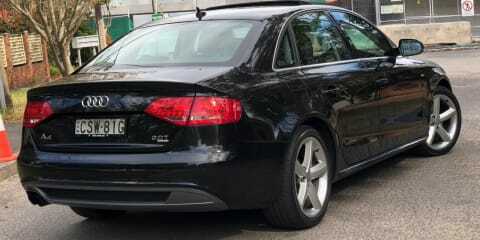 I think Audi has done a great job with the B8 generation. 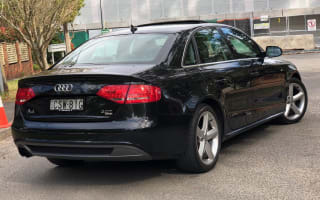 It was a significant advancement over the previous iteration – now built on Volkswagen Group’s MLB platform – and yet thankfully the successor (B9) that came out in 2016 actually maintains a similar look (from afar, to the average punter) so this car still looks modern and I would say it has aged pretty well. It helps that my car is the one with those LED DRLs out front that many have copied afterward. The shape itself is classic sedan that both looks elegant and is quite practical. The car certainly looks like it costs much more than it actually does right now, so that’s a positive. The lights deserve a special mention. I think Audi’s decision to go with LED lights front and back is commendable, as not many cars at the time had them, at least not in this class. The only exceptions are the turn indicators, front and rear, although the mirrors do have LED ones built in. It was fairly advanced for its time, and now doesn’t look out of place with most other cars on the road sporting DRLs. Headlights themselves are bi-xenon and illuminate the road very well at night. I’ve done a few long-distance trips and they proved their worth every time. Over to the interior. I can’t say it’s particularly plush with luxury materials, but overall quality is good. The leather seats are hard-wearing if a bit rough, the dash is generally soft-touch with some hard plastics used in the centre section. You do get some really nice aluminum inserts which always feel cool to the touch – they are here to remind that you’re in a premium car, after all. One thing that does feel properly premium is the steering wheel – with its perforated leather, it’s very nice to grip and hold, and it has very convenient roller buttons for the infotainment system, ergonomically positioned at your fingertips. You can tell a lot of thought went into its design. To my great pleasure, the centre armrest (which houses some good storage space underneath) is adjustable for both height and length, which makes it easy to find a relaxed driving position for those everyday commutes. I’m one of those people that like to rest both arms while driving. Considering this car first came out in 2008, I’d imagine the infotainment was pretty slick at the time. The Audi MMI system doesn’t get enough kudos, but I reckon it’s very easy to get used to and once you do, you can use it pretty much without taking your eyes off the road. I liken it to the old Nokia phones, where you grew so familiar with menus and button shortcuts that you’d be able to send someone a message almost with your eyes closed. It’s the same now if I want to call my wife or get to my favourite podcast. “Media key, media key, three wheel clicks right, press on wheel twice”… all while driving on a highway without even looking at the screen. Try doing that on a touchscreen. There are also handy shortcuts from the steering wheel, so you can switch to another playlist or call someone faster than Siri can say “What can I help you with?”. The only glaring omission with the infotainment is that, strangely, it has no bluetooth music streaming support! Bluetooth calls are supported, but not music streaming. They rectified this with the mid-cycle update, but when I first got my car I couldn’t believe it. Thankfully there’s a neat accessory called Tune2Air, and after 2 years of struggling with plugging my phone directly into the glovebox (another strange decision) through the proprietary MMI cable, I’ve finally discovered that you can get this plug-and-play dongle to pretty much emulate what the factory bluetooth connection does – it even lists all tracks/albums/playlists on the infotainment screen so you don’t have to use your phone while driving. All pre-facelift B8 Audi A4 owners – you’re welcome! Once you’ve finally got your music sorted (there are also two SD card readers and built-in HDD storage for those that want lossless quality), the Bang & Olufsen sound system definitely does it justice. I’m not an audiophile by any measure so I’m sure people may disagree, but to me the sound is crisp with deep bass on a variety of music genres I listen to. It’s certainly better than your average mainstream stereo – and better it should be, because this was a hefty extra-cost option at the time, so I’m glad my car already came with one. Since we’re talking features and options, overall the car is well specced. 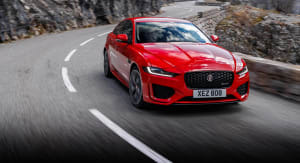 The most obvious thing it lacks against its modern counterparts is the active safety tech suite like lane-keeping assist, blind-spot monitoring and AEB – although maybe some of that could have been optioned at the time when buying new. In many other areas, however, it’s very current: on top of the aforementioned infotainment system with an 8” screen, bluetooth and voice control, it’s got a driver info display with digital speedo and trip computer, cruise control, auto headlights, auto wipers, auto-dimming rear view mirror, electronic parking brake, keyless entry and push-button start, tri-zone climate control, parking aids front and back, and a tilt-and-slide sunroof. As you can tell, this feature list would not look too shabby even on a 2018-built car. 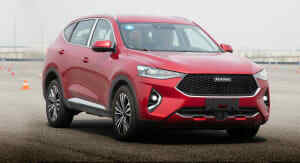 There are some practical niceties too, such as the “see me home” headlight function, which leaves some lights illuminated at night for a configurable period of time after you’ve disembarked the car, so that you could find your keys while standing in the driveway. All four windows have a one-touch up/down function, although somewhat annoyingly the back windows don’t go all the way down. Another nice touch is that the keyless entry and locking works on all four doors, as opposed to just the front two. You could also lock the car, then open the boot (with the key in your pocket), close it and the car will lock itself again. One more example of German attention to detail is that the windscreen wipers, when at a high setting, still slow down when you stop at the lights – because obviously, you don’t get as much rain in your windscreen when stopped – and then speed back up again once you accelerate. However, it does have some odd omissions in the spec for a premium car. Firstly, the side mirrors, while electronically adjustable, don’t electronically fold. As in, at all – not just when you lock the car. So if you’re in a tight spot and want to fold ‘em, get your backside out of the car and walk around to manually push them over. Very “premium”. The side mirrors also are not anti-glare, so at night you can get blinded by the bright lights of the cars behind you (especially if they’re an SUV). Another thing I miss is the heated seats (my Lexus had them) and oddly enough, at least in my spec the front seats don’t have map pockets at the back. Also my version misses out on a reversing camera. In the rear there’s plenty of leg room for sub-180cm people, although it can get pretty crowded with 5 on board (not helped by that transmission tunnel in my AWD version). The back passengers also get rear air vents with a separate (analogue) climate control dial. Owing to the traditional sedan shape, Practicality is strong with this one. I’ll tell you this much: we have 2 small kids – a baby and a toddler – and there’s plenty of space for 2 child seats at the back, 2 adults up front and a pram together with the week’s grocery shopping in the boot. Another fairly small adult (which my mother-in-law happens to be…) can even fit in the back seat in-between the child seats. But you might not want to do that to people too often. Especially to your mother-in-law. And yes, I did have the guts to try it and we still talk, but your circumstances may vary. So no need to go for a seven-seater just yet. The boot is spacious enough too. Audi quotes 480 litres. The shape of it is nice and square and the back seats split-fold, which helped me on several occasions transporting IKEA flat packs. I’ve also got the optional cargo net, which is extremely handy for securing those grocery bags so you don’t have fruit and veg rolling around your boot. On the road, the car feels comfortable with a sporty skew. It doesn’t have adaptive dampers (although some versions do, as far as I know) but the standard suspension is tuned well to cope with the challenge that is Sydney roads very nicely indeed. 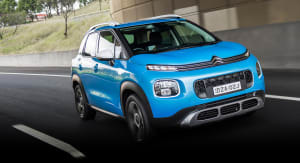 It’s composed over bumps and quiet enough to carry a prestige Euro badge – not the ultimate in sound proofing, but you can certainly carry out a normal conversation with the back passengers at highway speed. The quattro all-wheel-drive drivetrain is simply excellent and always gives me plenty of confidence in adverse weather conditions, whether it be driving in a downpour or out on snowy mountain roads. I also like the steering, which has a progressive feel to it – it’s very light at low speeds which makes parking a breeze, but then becomes nicely weighted at speed. The 2-litre turbo petrol engine makes 155 kW of power and 350 Nm of torque down low in the rpm range and revs very happily to the redline. The turbo helps you power off from standstill when you need it. The engine is not without fault, though – more on that later. When you’re in a sporty mood, the S mode with paddle shifters is your weapon of choice. The car then turns into a very capable corner carver for the occasional country road. In my case, though, most of its time is spent in daily commute to and from work, or ferrying the kids around. And here we do come across some shortcomings. First issue is the seat comfort. Both the front and back pews are quite firm, and my wife still can’t find a comfortable seating position, especially for longer journeys. The seats in my previous car (the Lexus) were definitely more plush and comfy. Heck, my wife has a 2015 Toyota Corolla and quite frankly the cloth-trimmed bucket front seats are more comfortable there. Second round of issues is with the infamous Volkswagen Group DSG dual-clutch transmission. Yes, at speed it does very smooth shifts and most of the time gear changes are so accomplished that you barely feel them. But feel them you do, once you start travelling in stop-start traffic or navigating slow city streets and roundabouts. Occasionally you can tell the gearbox gets confused over pre-selecting the following gear and when it realises it made the wrong choice, you either feel hesitation or (worse) a momentary jerk. This makes driving smoothly in the city a bit of a challenge with two kids sleeping at the back. 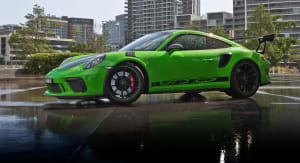 My wife also found it confusing when learning to drive, as the DSG hesitation, coupled with the turbocharged engine often results in a very non-linear power delivery when opening the throttle. Also if you happen to be on a driveway with an incline facing down, good luck trying to reverse back up quickly – the car will sometimes just roll down for a second or so before engaging the reverse gear (which once caught me by surprise and resulted in my bonnet being hit by a closing garage door when I couldn’t reverse out in time). I understand the benefits of dual-clutch for sports/racing applications. But honestly, I don’t get why Audi (and VW Group in general) insist in shoving these gearboxes into regular cars that spend most of their time driving in city traffic. Given how well conventional autos can be executed by the likes of ZF, this seems like an unnecessary over-complication, with more reliability issues to boot. My personal experience has certainly led me to not want another DSG car at least for the foreseeable future (and after that they’ll all be electric anyway). That leads us to the ownership experience. As I mentioned I’ve now clocked up over 40,000km’s, and thankfully had no major problems with the car. Servicing has been pretty straightforward, although I’ve always used my own certified mechanic who loves Audi’s and knows them inside out (he owns one too), rather than an Audi dealer. So can’t comment on a dealership experience, apart from my very first service which was a minor one (10,000km’s) at circa $750, including an extra-cost option of a loan car – needless to say, I didn’t come back. After having experienced the Lexus dealership, this was nowhere close. That aside, there was one more aspect of this particular Audi’s ownership that unpleasantly surprised me, which no dealer would have ever told you at time of purchase. That’s where we come to my final gripe with the car, and it’s not a small one. The car has one of VAG’s earlier versions of the 2.0 turbo-petrol engines, and it drinks oil like crazy! I’ve actually measured it and I’m talking every 800-1000km’s that I have to tip in more oil. Now, before you go “there’s something wrong with your car, mate” – just Google it. I’ve also had it thoroughly checked by my mechanic. Apparently, it was a “known issue” with these early turbo engines, and guess what “fix” the boffins at Ingolstadt came up with? They installed a digital oil readout, which regularly prods you with a beep and a message to “Add 1L of oil” (please, sir, thank you). And then, to avoid scaring the bejesus out of you that your engine’s leaking and you need to get it checked immediately, it helpfully adds “You may continue driving”. So what you do is pull up at the servo and buy a litre of oil. And not just any oil – VW 504 00 standard certified, fully synthetic, most premium oil you can buy, usually at around $30 a pop. Then you pop the bonnet, unscrew the greasy oil cap and pour it in. How’s that for a “premium European luxury brand” ownership experience? It’s worth saying that, again, they quietly rectified that issue with the mid-life update, so obviously if I would have known that, I would have spent the extra bucks and gone with a face-lifted version (and I’d be better off by now). Apart from oil consumption (didn’t think about quoting that figure, did you Audi?) regular fuel consumption for me has been 10.5 litres per hundred K’s on average, which is not terrific but not bad either. When I lived in the inner-city it was closer to 12.5L / 100km. 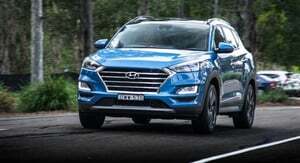 However, on a highway, it comfortably dips to below 8.5 litres. Which is still well above the claimed 7.4L. The Audi drinks 95 RON petrol as a minimum.